Home featured Senate Votes Yes to Save Net Neutrality – But What’s Next? Senate Votes Yes to Save Net Neutrality – But What’s Next? The U.S. Senate on Wednesday voted 52-47 on a measure that would restore net neutrality — but the resolution still has a long and unlikely way to go. 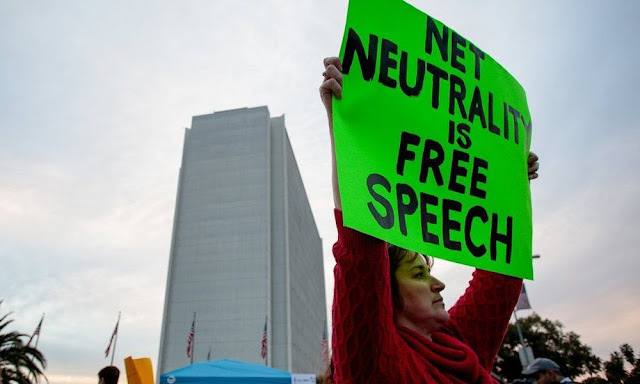 Specifically, the Senate voted to overturn the Federal Communications Commission’s “Restoring Internet Free Order,” which kills the current net neutrality protections introduced under President Obama in 2015. Senate Democrats forced a vote on the matter using the Congressional Review Act, which allows lawmakers to repeal newly implemented agency regulations with a simple majority. The vote was largely along party lines. But in addition to to the 49 Democrats, Republican Senators Susan Collins, Lisa Murkowski and John Kennedy also voted in favor of the measure. The FCC, headed by Trump-appointed Chairman Ajit Pai, voted in December to rollback the existing net neutrality rules, which prevented internet service providers from blocking or throttling users’ content. Net neutrality rules also barred ISPs from providing “fast lanes” to companies or content makers who pay a fee for bumped up speeds. The CRA measure still faces an uphill battle. And its chances at success might be a bit doubtful. Next, it will be sent to the House of Representative — where Republicans hold a larger majority. If it does manage to get past the House, it must be approved by President Donald Trump, who is unlikely to do so. While ISPs and congressional Republicans tend to oppose net neutrality, the Obama-era protections do seem to have widespread bipartisan support among consumers, technology firms, and websites. A 2017 Mozilla poll showed that 76 percent of Americans support net neutrality, including about 73 percent of Republican voters. In spite of the measure’s slim chances at success, the vote served as a way for net neutrality advocates to get an official record of individual senators’ position on the matter. Democrats also see the issue as a way to rally their base ahead of the 2018 midterm elections. Even if the CRA measure fails, hope is not quite lost for net neutrality. The matter is incredibly likely to end up in court. And Congresspeople from both sides of the aisle have expressed interest in enshrining similar consumer protections into law via legislation.